The Ministry of Local Government and Rural Development, has said that it is on course for the election of Municipal, Metropolitan and District Chief Executives in 2021. It said the elections will be made partisan and the relevant constitutional processes are being undertaken to make it legal. For now, the entrenched Article 55 clause in the 1992 constitution forbids political parties from involving themselves in elections at the district assembly or lower levels of local governance But the deputy sector minister, O.B Amoah, while speaking at the launch of the Institute for Democratic Governance IDEG’s advocacy document on “the case for multiparty local governance in Ghana” said the bill for the amendment is going through the legal procedure. “I have the hansard of 27th September 2018, which contains the bills which were submitted to the speaker for referral to the Council of State. As I speak, I’m aware the Council of State has responded to the bill, and it is for the Attorney General to publish this bill, the gazette, at least for 6 months as required under the constitution,” he said. Some analysts have spoken against the government’s plan to make the election of MMDCEs partisan, but O.B. 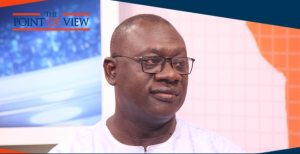 Amoah has insisted that the election process will be chaotic if not made partisan. He further indicated that the decision to make the election of MMDCEs partisan was not a new thing as most District Assembly Elections are usually held on partisan basis.